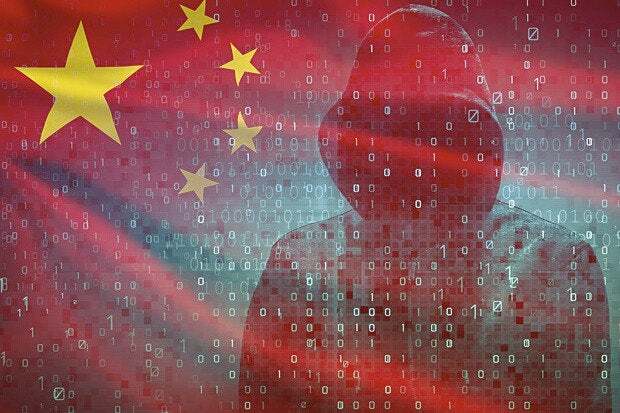 It is not news that when it comes to economic espionage, China has been, in the words of a number of security executives, "eating our lunch" for decades. But the more disastrous reality is that American companies, in large part due to grossly inadequate security measures, are essentially feeding their lunch to the Chinese (and other nations) -- along with breakfast and dinner -- experts in both the public and private sector say. It is bad enough to have prompted the FBI -- generally tight-lipped about its intelligence gathering -- to launch a national "awareness" campaign a month ago, "aimed at educating businesses, industry leaders, and anyone with a trade secret about the threat and how they can help mitigate it." The agency said economic espionage is, "a problem that costs the American economy billions of dollars annually and puts our national security at risk." The number of billions is staggering. While the FBI has put the direct annual cost of economic espionage at $13 billion, that only reflects the cases the bureau has handled. The Commission on the Theft of American Intellectual Property estimated that total losses, including jobs, competitiveness, stock value, market share, reach into the hundreds of billions. While the FBI did not name China as the main perpetrator, of more than a half-dozen cases it listed, almost all involved the Chinese. Dean Cheng, senior research fellow at the Asian Studies Center at The Heritage Foundation, recently told The Diplomat that, "There is no real precedent for the scale of state-sponsored/state-supported corporate espionage [by China] that we are seeing." An executive at a major telecom company who declined to be identified called it, "pervasive and persistent. The private sector is hugely at risk. They are eating our lunch," he said. Michelle Van Cleave, head of U.S. counterintelligence under President George W. Bush and a member of the AFIO (Association of Former Intelligence Officers) board of directors, wrote in a 2014 unpublished paper made available to CSO by AFIO that, "foreign targeting of the U.S. science and technology base is driven by purposeful collection, tasking and exploitation by foreign nations who employ the full reach of their intelligence capabilities to that end." Former National Security Agency director Gen. Keith Alexander famously called it, "the greatest transfer of wealth in history." Identify and value trade secrets. Implement a definable plan for safeguarding trade secrets. Secure physical trade secrets and limit access to trade secrets. Provide ongoing security training to employees. Develop an insider threat program. Proactively report suspicious incidents to the FBI before proprietary information is irreversibly compromised. Among multiple examples of that is a case from 2007 when Hanjuan Jin, a Chinese-born American citizen and a software engineer at Motorola, was stopped for a security check at O'Hare International Airport in Chicago just before boarding a flight to Beijing (she had purchased a one-way ticket). The screeners found about $31,000 in cash plus more than 1,200 confidential Motorola documents stored on a laptop, four external hard drives, thumb drives and other devices. The company said the intellectual property was worth about $600 million. Jin was convicted in 2012 of stealing trade secrets, sentenced to four years in prison and fined $20,000, but escaped conviction on the more serious crime of violating the federal Economic Espionage Act -- stealing the information to benefit a foreign government. She was also named as a co-defendant in a civil lawsuit later brought by Motorola against China's Huawei telecoms group over the alleged theft of trade secrets. That suit was eventually settled for undisclosed terms. But Mark Halligan, a partner at FisherBroyles, who represented Motorola in the suit, noted that while Jin's attempted theft was prevented, she was only moments away from boarding the flight to China, and that there are likely many other cases where economic spies haven't been caught. "How many other times has this happened?" he said. "At a high level, what you can say is that Motorola was the No. 1 telecom in the world, and Huawei didn't even exist until 1987. Today, Motorola has been split in two, and Huawei is No. 1." Halligan also said Jin's case and others show that Chinese economic espionage is not necessarily occurring only from thousands of miles away via the Internet, but is frequently done by company insiders. "You have the top grads from tech schools in China, who then go to the U.S., get master's degrees and then apply to U.S. companies. They have stellar resumes, and then work their way up as trusted employees." Another example of that, he said, came in 2010 at Valspar Corp., a paint manufacturer, "where every paint formula is a trade secret." According to the FBI, David Yen Lee, a chemist for Valspar, was sentenced to 15 months in prison for stealing company trade secrets valued at up to $20 million as he prepared to go to work for a competitor in China. "He downloaded the entire paint formula library, reorganized it on a separate hard drive and bought a one-way ticket to Beijing," Halligan said. The only reason he got caught is that somebody noticed an anomaly and notified FBI. They (Valspar) would have lost their entire company."